We got our Murphy from My Lil Yorkies about 4 months ago and we are absolutely in love! He's so well behaved and sweet. Tracey does an amazing job breeding her pups. She's been so helpful ever since we got him. Definitely would recommend to anyone looking for a yorkie! My experience with Tracey and MyLilYorkies has been nothing short of amazing. I love Robin with all my heart and owe his health and lovable temperment to MyLilYorkies' excellent standards of care. Every time I have a question (be it big or small) Tracey is more than happy to answer it for me. 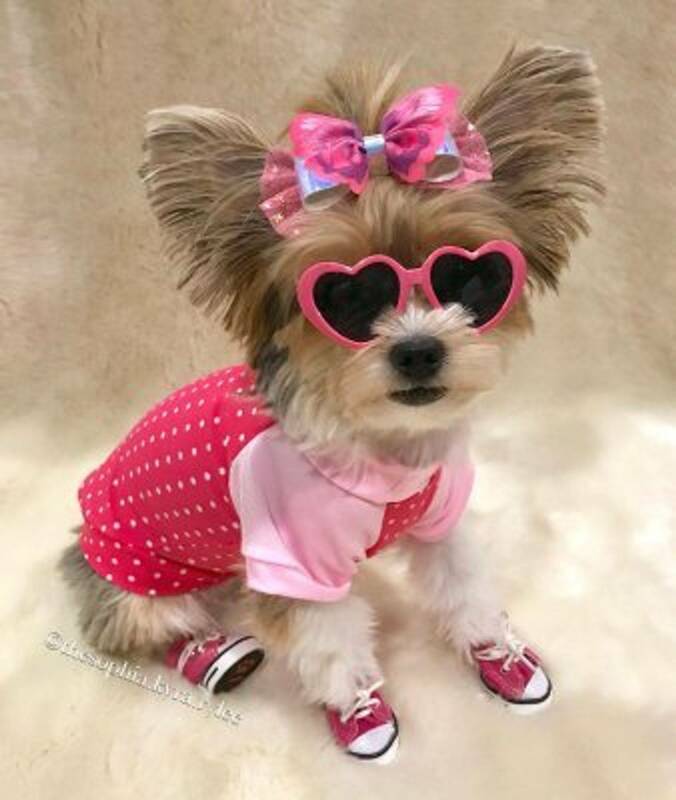 I would recommend MyLilYorkies to anybody looking for healthy and happy puppies. Totally fall in love with the breed! As soon as our other 2 animals are gone we will get a puppy from Tracey. All the dogs are in her home and home raised. No worries about a puppy mill. Tracey keeps in contact and we send her pictures of Sophie. Awesome breeder *****five stars! We bought our Parti Yorkie from Tracey and couldn't be more pleased! She was great! She sent pictures almost weekly and also a video to show us our new baby playing, without us even having to ask. She was always available anytime we had questions. Our Allie is very well socialized and has the best personality. 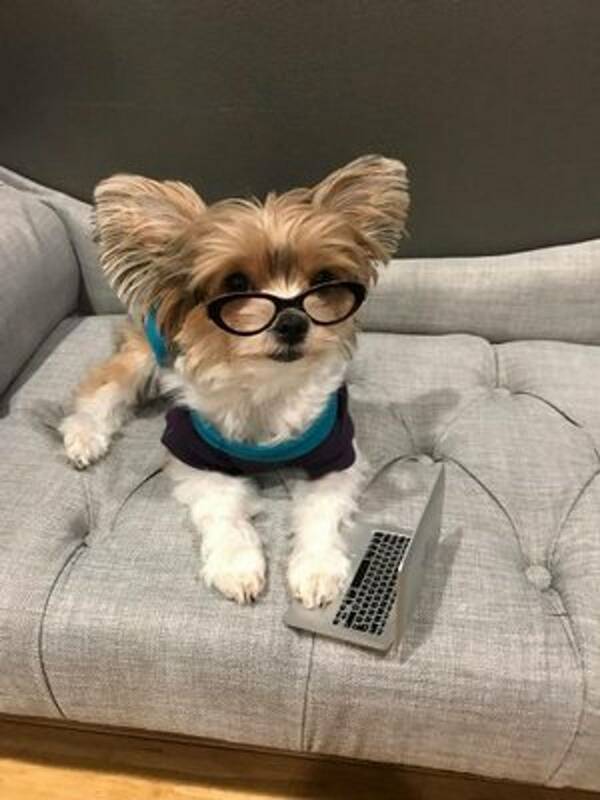 Tracey is the only one we would ever consider getting another Yorkie from. My husband and I bought a yorkie from Tracey and he was put in our life to teach our two preteen boys that mom and dad mean what they say and they say it for a reason, they learned not to dance around tiny puppy. It was a sad day for our family when we lost our boy Oliver to feet. Tracey was kind enough to breed the mom and dad of our Oliver again so we could have a brother, She remained in contact with us threw the whole pregnancy and we were the first to know when mom had her pups, every week on their birthday she emailed us pictures and when it came time for us to pick one of the boys from the litter we could not take just one, so for Christmas we got 2 new baby boy yorkies and they are the most awesome pups ever. I recommend Tracey to anyone who asks me where I got my boys and if I ever get another it will only be from Tracey. She is the best and her yorkie pups are fabulous. We bought our Parti Yorkie, Finley, from Tracey in June 2014 and are incredibly happy with our purchase. He is the greatest dog who will sleep next to you while watching a movie and then go out to the woods to camp the next day. His temperament is perfect and he is friendly with everyone and any other dog. Tracey really helped make this happen for us. We live in a remote mountain town and she worked with us in all aspects of our purchase to make it possible. Her and her husband went above and beyond for us to get Finley. We are considering getting another one and wouldn't go anywhere else for him/her. I just purchased a Yorkie puppy from Tracey.. It was a quick, easy transaction. I chose to fly out to pick up my puppy and Tracy went out of her way to get the puppy to the airport within two days of me purchasing her.. Tracey was knowledgeable, helpful, and very easy to reach with all my questions. A great experience. We just love our new furbaby!